Non-communicable diseases such as diabetes, cancer, and cardiovascular disease account for most deaths in rich and middle-income and lower-middle income countries. Management of these diseases necessitates adoption of healthy behaviors and a collaborative health care approach. Real-time data, clinical decision making and feedback can influence diet, exercise and medication management. Fifty percent of US health care will shift from the hospital/clinic to the home/community by 2020. Accordingly, this instructional course will expound the need for creative utilization of health technologies (texting, internet, tele-health, eHealth, and mHealth) for the prevention/treatment of chronic, non-communicable diseases and promotion of healthy lifestyles. Dr. Phillips is a Professor in the Department of Physical Therapy and in the Department of Medicine (Endocrinology and Metabolism Division) at the University of Illinois at Chicago. Phillips has clinical expertise in acute and critical care physical therapy and cardiovascular rehabilitation. After his PhD degree in physiology was completed at the Medical College of Wisconsin (Milwaukee, WI), he completed post-doctoral training in Cardiovascular Medicine in 2006 at the same institution. He is Director of the Vascular Biology Laboratory in the College of Applied Health Sciences where he studies obesity and the control of blood flow and cardiovascular responses to diet and exercise interventions. Other research interests include obesity and weight loss effects on vascular health. Phillips serves on the editorial board for the American Journal of Physiology: Heart and Circulatory Physiology, the journal Microcirculation, and on scientific review panels of the American Heart Association. His laboratory is currently funded by the National Institute of Health and the American Heart Association. Dr. Kitsiou is an Assistant Professor in the Department of Biomedical and Health Information Sciences. He holds a PhD in Health Informatics from the University of Macedonia, Greece. 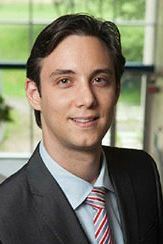 Prior to joining UIC, Dr. Kitsiou was a post-doctoral fellow at the Canada Research Chair in Information Technology in Healthcare at HEC Montreal. 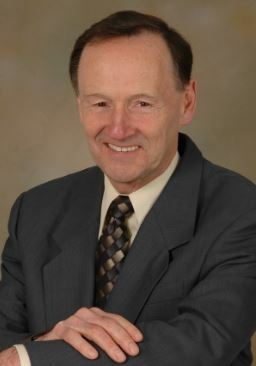 His areas of research include: the design, development, and evaluation of home telemonitoring and mobile health interventions for chronic disease management; research synthesis methods; and the conduct of systematic reviews and meta-analyses of health information technology interventions for supporting evidence-based decision making in the area of biomedical and health informatics. His most recent publications have appeared in the Journal of Medical Internet Research, International Journal of Healthcare Technology and Management, Information and Management, and European Journal of Information Systems. Dr. Kitsiou currently serves as an associate editor in the Journal of Medical Internet Research and in JMIR mHealth and uHealth. Dr. Martino received her BS degree in Physical Therapy from Hunter College in 1991. She went on to receive her MS degree in Health Care Policy and Management with an emphasis on Education from Stony Brook University in 1998. She completed her Doctor of Philosophy degree in PT from Nova Southeastern University in 2010, where she studied the experimental effects of a multi-disciplinary nutritional and exercise program on cardiometabolic factors, fitness, body composition and the quality of life of overweight/obese children. 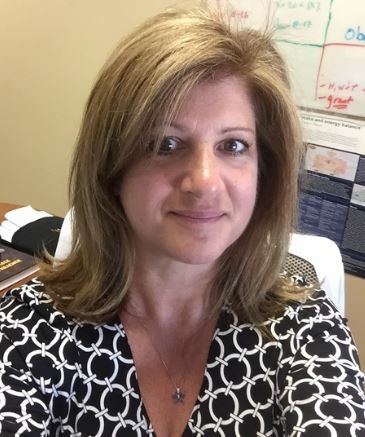 Dr. Martino’s current research interests revolve around the multi system disorders that are associated with child and adult obesity including vascular health, fitness, balance, and assessment of dietary intake and exercise using smart sensors/technology. Dr. Martino co-directs the Fit Families for Life program which is a wellness program designed for children who are at risk for cardiovascular disease, including those with hypertension, elevated cholesterol and in or above the 85th% for Body Mass Index. Multidisciplinary in nature, this ten week program is administered by a Pediatric Cardiologist, and Physical Therapist, and employs Registered Dietitians, yoga and Zumba instructors, and student volunteers. To date the program has been offered to over 900 children from across Long Island. Dr. Martino is a Clinical Associate Professor in the School of Health Technology and Management at Stony Brook University and teaches for the entry level and the post professional Physical Therapy Programs as well as for the Rehabilitation and Movement Sciences Doctoral Program. I am a Professor of Medicine, internist, and health services researcher in the Division of Academic Internal Medicine at UIC. I have extensive experience in the design, development, and implementation of mobile health (mHealth) solutions targeting underserved populations. Our research team developed mytapp, a low-cost software application that provides scheduled text messaging services. mytapp is currently used by a number of research studies and quality improvement projects. For example, a CMS-funded project, CHECK (Coordination of HEalthcare for Complex Kids), involves community health workers delivering health-promotion text messages through mytapp to Medicaid recipients up to age 25 with a chronic disease. We have additional experience in multimedia education, mobile app development and implementation, passive mobile device data collection, and remote physiologic measures. We implement mHealth interventions in diverse and vulnerable populations such as low-income minority groups, rural residents in Illinois and those with physical and intellectual disabilities. 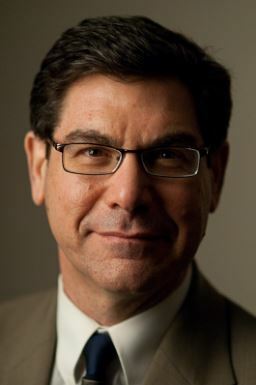 Dr. Anthony Faiola is Professor and Head of the Department of Biomedical and Health Information Sciences, College of Applied Health Sciences at the University of Illinois at Chicago. 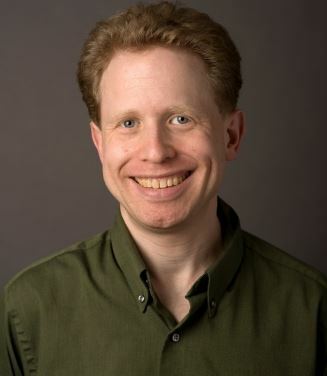 Formally, he was Associate Professor (2001-16), Executive Associate Dean (2008-13), and Founding Director of the Human-Computer Interaction Program (2002-14) in the Indiana University School of Informatics and Computing, Indianapolis. Dr. Faiola’s research domain is positioned at the intersection of biomedical and health informatics and human-computer interaction—where he focuses on advancing the science of interaction design of socio-technical systems that support healthcare, both clinical work and personal health and well-being. Research projects include: (1) Biometric monitoring of hypoglycemia, (2) EMR data visualization dashboards, and (3) Family centered health information technologies. Dr. Faiola has published over 80 refereed papers and given over 90 presentations and invited talks. As both PI or co-PI, he has secured over $1M in research funding from such places as the: National Science Foundation, MacArthur Foundation, and Fulbright Institute. He has been the primary advisor to over 50 HCI MS students and 12 HCI Ph.D. students. Dr. Faiola is a three-time Fulbright Scholar to Russia. Dr. Lehmann is the Dean of The School of Health Technology and Management, Professor of Clinical Laboratory Sciences and Director for the Center of Public Health Education at Stony Brook University, Medicine. He is a registered clinical chemist (National Registry of Clinical Chemistry) and a Fellow in the National Academy of Clinical Biochemistry. In addition to his more than 75 journal articles, He has edited and co-edited 5 clinical laboratory science textbooks and 14 book chapters. He is the editor and author Saunders Manual of Clinical Laboratory Science published by W.B. Saunders. He has made more than 130 presentations nationally and internationally on a variety of health care topics. He served on the editorial board for American Association for Clinical Chemistry Strategies (1993-2003) and presently serves on the editorial board of Clinical Laboratory Sciences since 1987. Some of the more distinguished honors that have been bestowed upon him over the years have been; “President’s Award for Excellence in Teaching” Stony Brook University as well as the State University of New York “Chancellor’s Award for Excellence in Teaching”. In 2007 received the American Association for Clinical Chemistry’s Award for Outstanding Contributions in Education. Presently has 4 patents pending for healthcare. Sample presentations: “E-Participation: Empowering People through Information Communication Technologies (ICTs)”, United Nations, International Telecommunications Union Headquarters, Geneva, Switzerland, July 24-25, 2013; “A Tool Kit for a Successful Home Health Program” Bit’s 4th World Congress Bio Soft 2012, Beijing International Conference Center, Beijing, China March 23-25, 2012.